There’s a lot more to Portuguese cuisine than bacalhau (cod)! 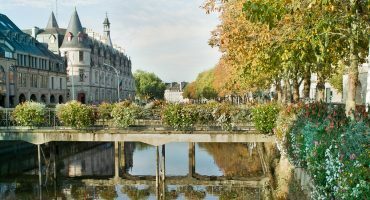 Join us on a gastronomic tour around the country as we discover some of Portugal’s most traditional and delicious dishes, from fried sardines and alheiras (Portuguese sausages) to francesinhas (ham sandwichs) and the internationally renown pastéis de Belém (Belem cakes). Salted cod, locally known as Bacalhau, is the star ingredient in many local dishes. Apparently there are 365 ways of cooking cod, a different recipe for each day of the year! Fun Fact: Almost all the cod consumed in Portugal is imported from Norway and Iceland. 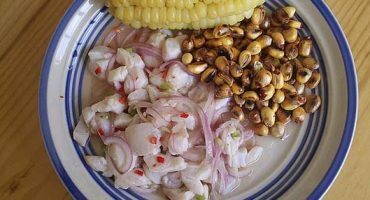 Salt-preserved cod first became popular in Portugal during the Age of Discovery because it could handle long voyages across the Atlantic. These small cream filled cakes are a real treat! 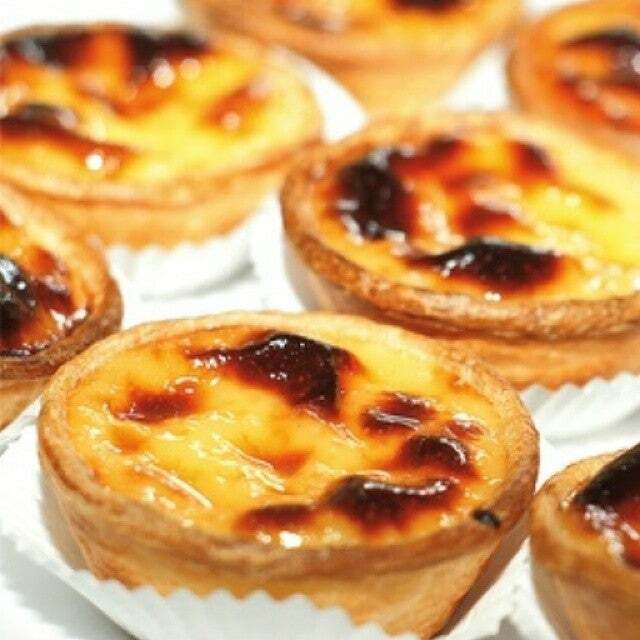 Even though you can find this delicious dessert in cafes throughout Portugal, only Fábrica dos Pastéis de Belém has the original recipe and they keep it under lock and key. According to tradition, these cream puffs are served warm, sprinkled with cinnamon and sugar. 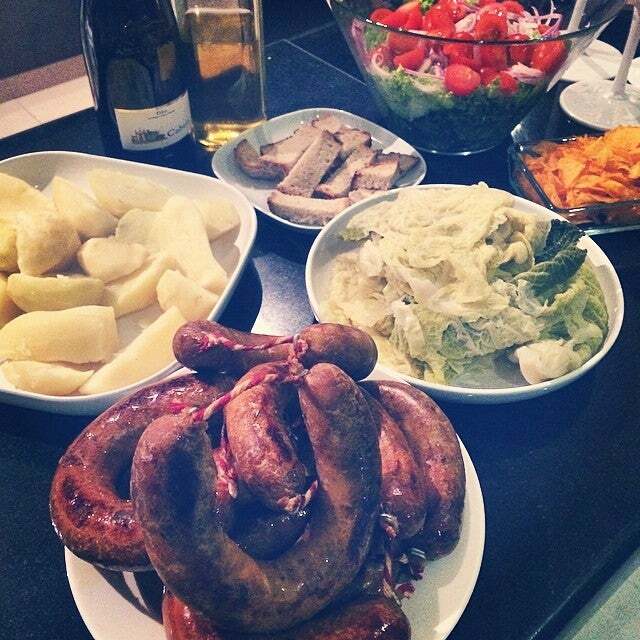 The regions of Trás-os-Montes and Alto Douro are known for producing the best meat sausages in the country. Alheiras are usually made with chicken, bread, olive oil, lard, garlic and paprika, but the recipe tends to vary from region to region. These sausages are served grilled or oven roasted with a side dish of veg, eggs or fried potatoes. Fun Fact: Portuguese Jews invented this pork-free sausage during the times of the Inquisition. Pretending to eat a food that was forbidden to those of Jewish faith, allowed many to disguise themselves as “New Christians”. The Francesinha is a meat-stuffed sandwich (sausage, ham, steak or roast pork loin), topped with cheese and a special chilli beer sauce. This sandwich is particularly popular around the city of Porto. If you can handle large portions, go for the “special” Francesinha, served with fried egg and potatoes. 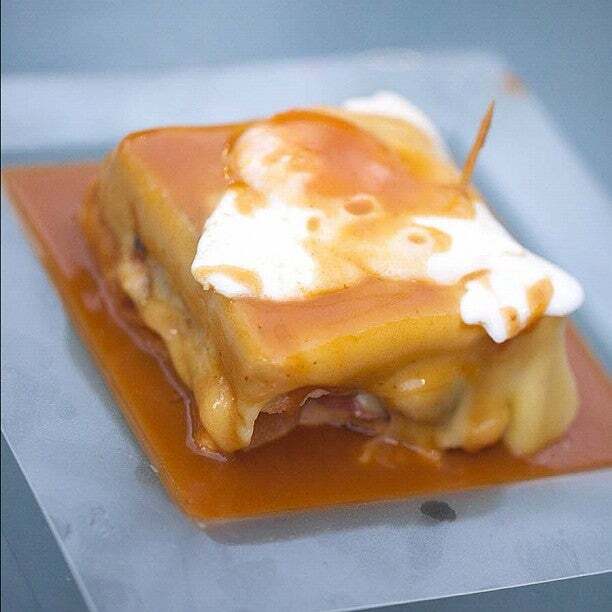 Fun Fact: There are several theories about the origins of this dish, but if you ask locals they will probably tell you that Portuguese immigrant Daniel David Silva created the Francesinha after returning home from France (hence the name) – he wanted to create his own version of French Toast using local products. 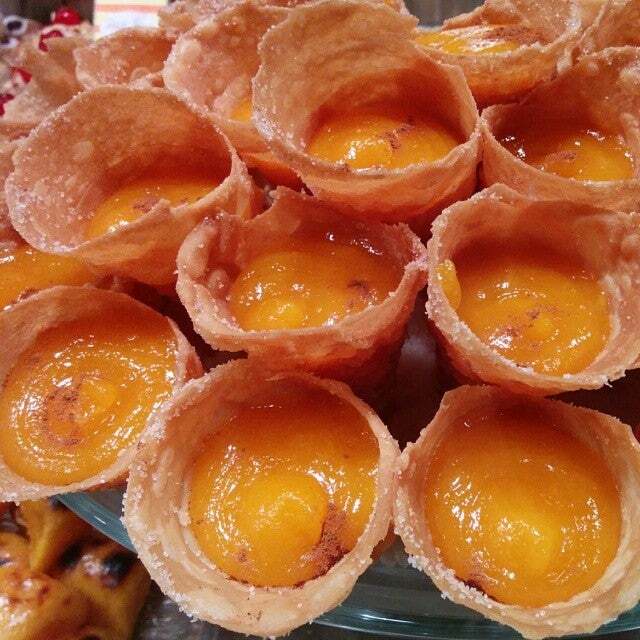 Head over to the city of Aveiro to try some Ovos Moles (aka egg yolk sweets), the dessert with the gooey center! This delicacy comes in different shapes and sizes, but at the end of the day the result is the same: creamy, delicious and sweet! 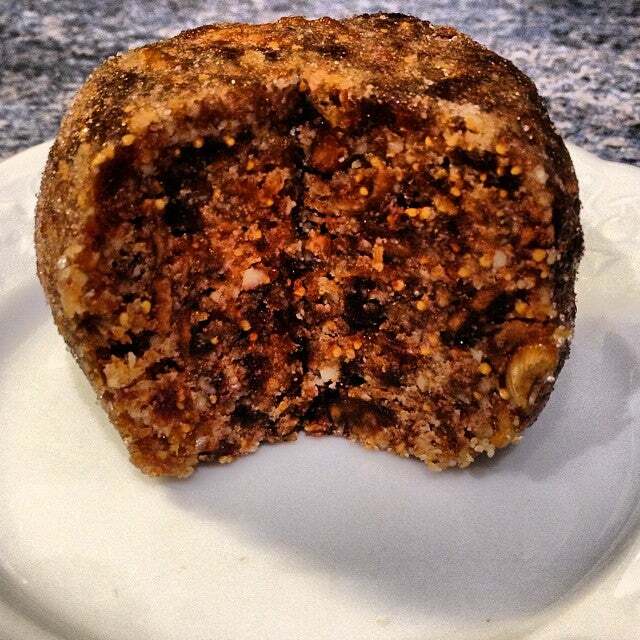 Fun Fact: Ovos Moles were first made in the XIX century by the convent nuns of Aveiro. 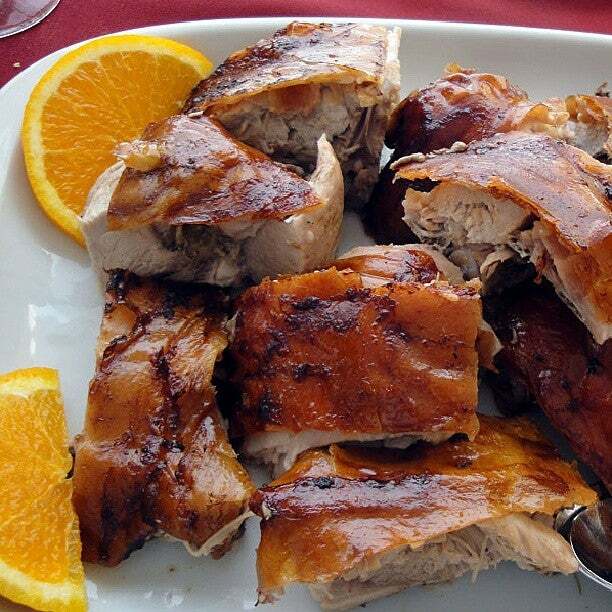 Bairrada is known for making the best roast pork. 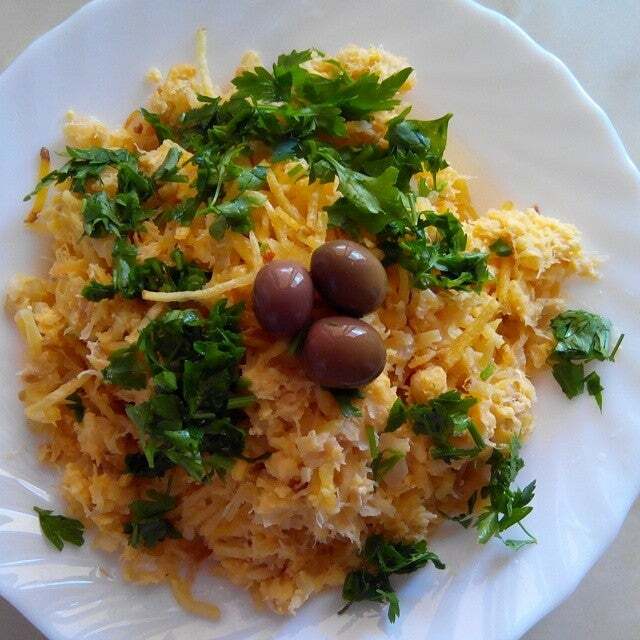 In fact, the dish is so popular with locals, it has been chosen as one of Portugal’s 7 culinary wonders. If you love meat, this dish is definitely for you. When in Lisbon, try the sardines! Like the salted cod, the Portuguese can’t get enough of this fish. They even have traditional festivals called “sardinhadas” where they dance, sing and snack on sardines. 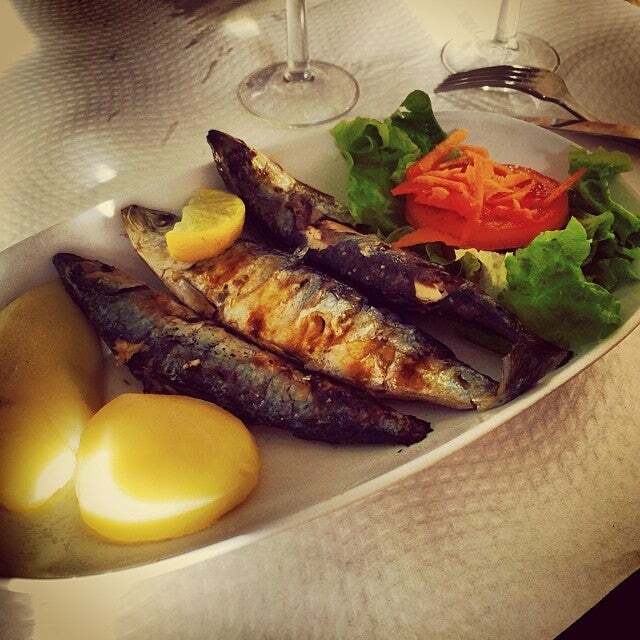 If you’re not really sure which dish to go for, you can’t go wrong with the grilled sardines. At just a few kilometers from Lisbon you’ll find the romantic village of Sintra where they make some of the best desserts in the country. 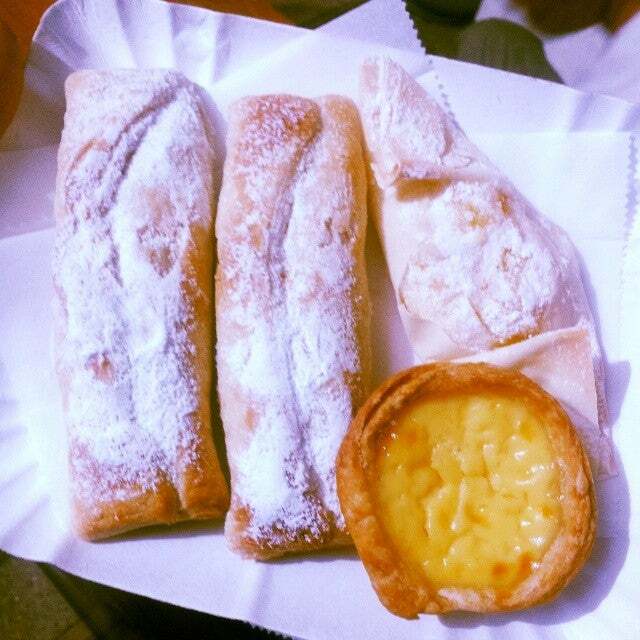 “Queijadas” (delicious pies made with fresh cheese, sugar, eggs, flour and cinnamon) and “Travesseiros” (almond puff pastry) are two local specialties you must try! In Alentejo, bread soup is king! 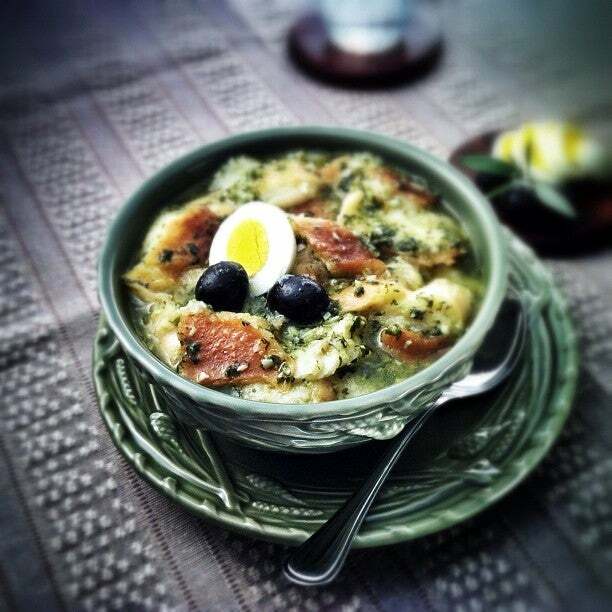 Prepared with coriander, garlic, olive oil, water, salt, eggs and mushed bread, Açorda is a popular local dish normally served with poached fish. Mouthwatering! 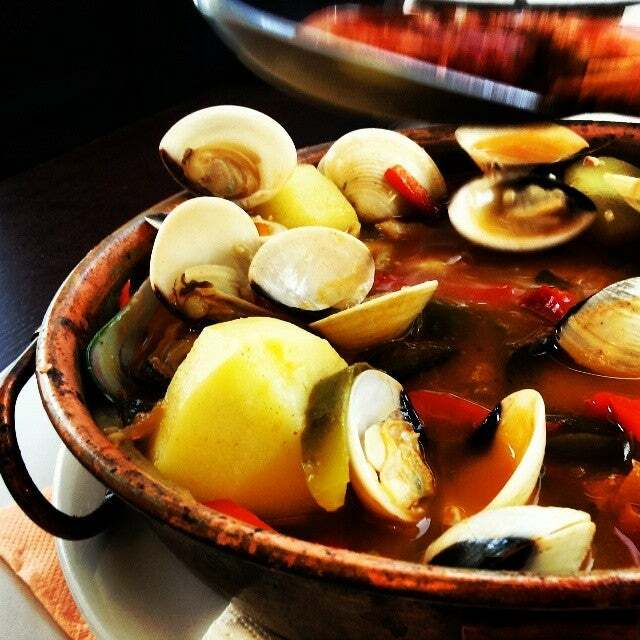 The “cataplana” is a typical pot often used in Portuguese cuisine to cook fish, seafood, poultry, game and vegetables, and is often compared to the Spanish paella, the Chinese wok or the Moroccan tajine. And because we wanted to end this gastronomic tour on a sweet note, we kept the best for last – fig “cheese”! This specialty made in Algarve is a dry fruit dessert made with figs, almonds, arbutus, fennel, lemon, cocoa and spices (and no cheese!). Sounds delicious, right?